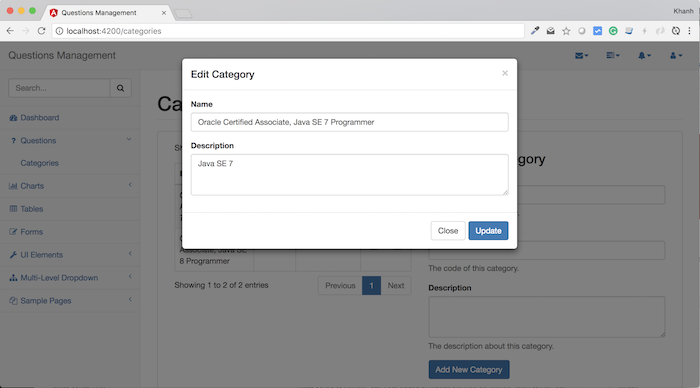 We have prepared the necessary information to build updating a category in the Frontend of our Questions Management application such as a CategoriesService for calling the API Category Service, a Category object for containing a category information, the interface to display all the categories in the system. Now, we will go into the details of building up this updating category. In this section, when the user clicks on the Edit button in the category list, I will code to open a popup using the Bootstrap Modal that allows the user to edit the category information in the popup. 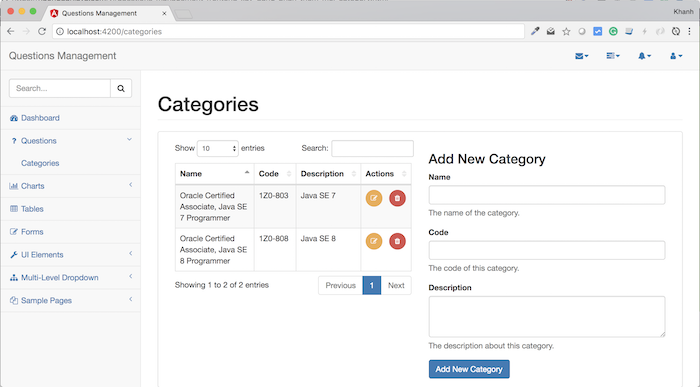 At this point, we have finished building updating category for the Frontend section of the QuestionsManagement application. Let’s run the test. You can change any information you want. Then click the Update button to update.